TAKILMA...the name was found on a road sign that lead to a magical forest location with lush rivers in Southern Oregon that founding member Big Nate (bass/vox) encountered in 1996. The road sign was named after the TAKELMA native american tribe. While forming a band with founding member BK (guitar/vox/keys) in Northern California the name was suggested as the band lacked in any good alternatives and the name was unique. It was adopted and the band was born. Ever since 1996 Takilma has been rocking the west coast with its unique brand of jam band sonic blues rock for over two decades. 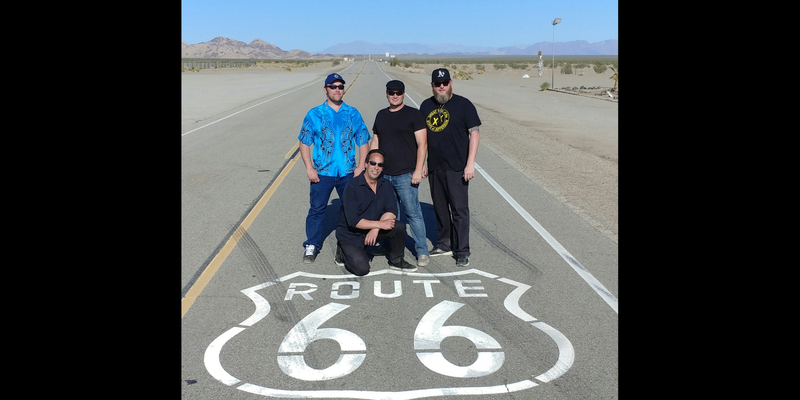 Right out of high school, founding members BK (guitars, keys, vocals) & Big Nate (bass, vocals) began mixing solid modern rocking original songs with classic rock and blues covers in a jam band style. The bands current line up is rounded out by long time members Adam (guitars) and Cameron (drums) making it a live force to be experienced. From local bars and clubs to main stages at large music festivals Takilma always brings some tastey rock jams that keep the people shuffling their feet and asking for more! Keep checking in for new music, show dates and new videos here @ takilmamusic.com. - JT Rocker (vocals, harmonica, guitars, percussion) OG! - Micah C. Miracle (guitars, vocals, keys) OG! - Aben Vincent (drums) OG!